Three more days! Yikes! 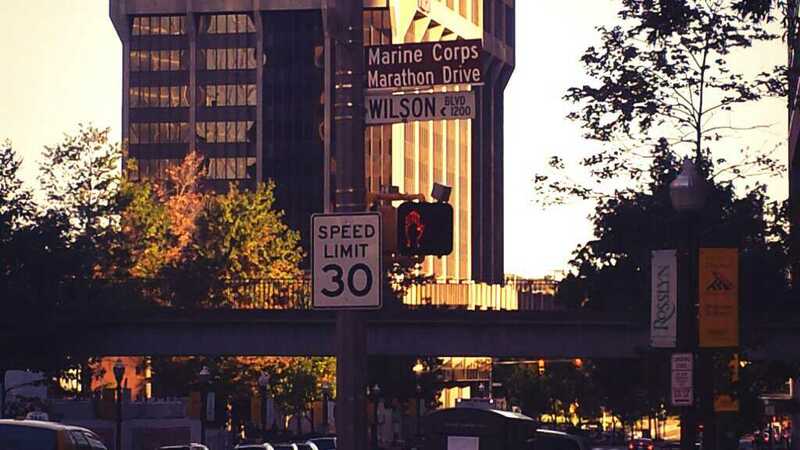 The Marine Corps Marathon is almost here. Having run this marathon twice before and being lucky enough to do many of my training runs along the course, I feel like I know every inch of it. Sometimes knowing what’s ahead is good. Think the rush from the crowd as you run the final stretch down 110. Other times I wish I didn’t know what was just around the bend. Think that final hill up to the finish line. Here’s my advice and a preview of the course for first timers. As the race starts adrenaline kicks in and emotions run high. Remember to keep your breathing in check and don’t go out too hard as you head up Lee Highway. The good news is you get to come back down along Spout Run before heading over the Key Bridge and onto M street in Georgetown. M Street should be loud and lined with fans so feed off of their energy as you get ready to turn down Wisconsin and loop onto Rock Creek Parkway. Rock Creek is back after several years absent from the course and I for one am very excited about this. I wrote about the course change in an earlier post if you want to check that out. 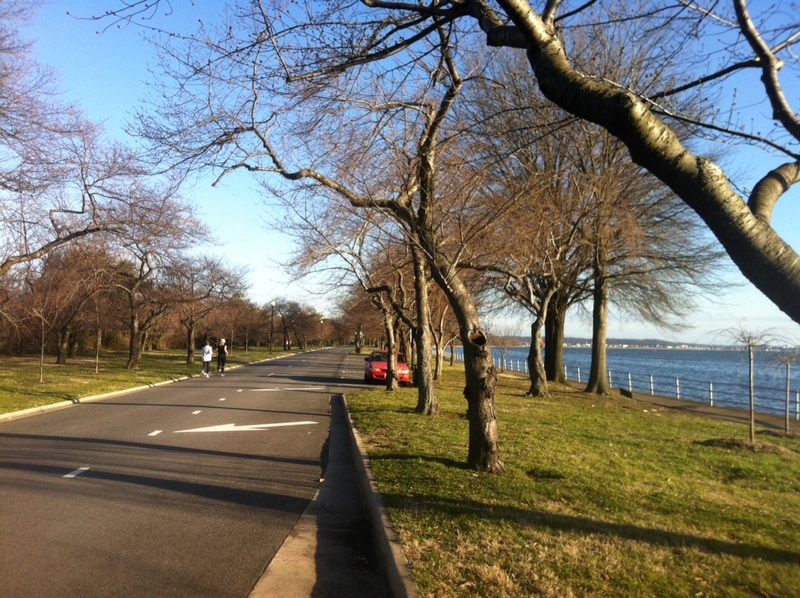 This stretch has a slight incline, but it’s really beautiful and a great addition in my mind. The next big challenge is Hains Point. 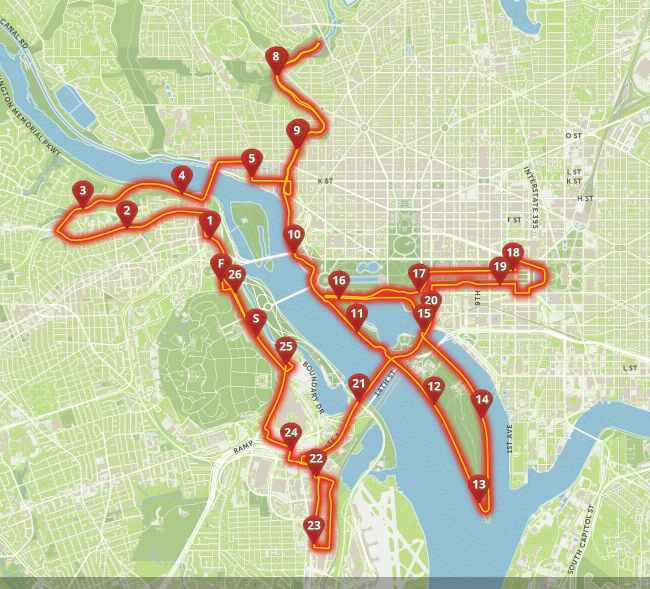 I’ve written often about my love-hate relationship with this stretch that has been a part of so many of my races this past year including the Cherry Blossom 10 Miler, Nike D.C. Women’s Half and the Navy Air Force Half Marathon. The crowds can be sparse and the winds can be brutal, but as of now anyways, the forecast looks to be in our favor. If it is windy, try to tuck in behind another runner or a group. If you start to feel the lack of crowd support, let yourself enjoy the views of the water. It’ll be over in just a couple miles and you’ll be on your way to miles 15 and 16. Soon you’ll be gliding (or hobbling – whatever it takes) past the monuments. Take it all in as you approach the Capitol Building – it really is a special view and so much history. You’ll see a big hill ahead by the Capitol, but don’t worry, the course turns just before sending you up and brings you along the Reflecting Pool before heading back down the other side of the Mall. Also, photographers are usually ready and waiting to take your picture here with the Capitol in the background, so get your race face ready. Next the course turns cruel again as you try to “Beat the Bridge” crossing 14th Street Bridge back into Arlington. Crowd support wanes again. The bridge seems to go on forever. There’s no getting around this, but don’t let it get you down. Fight it. Summon up all the mental energy you can and keep yourself going through mile 20 and 21 along the bridge. Once you cross the bridge and enter Crystal City the crowds will be back and you’ll start to feel like the end is finally near. Dunkin Donuts is usually stationed around here handing out munchkins. I remember thinking this sounded awesome before the race, but then wanting to throw up just at the sight of them during the actual race, so I passed by without enjoying one. The Crystal City portion is slightly different than the last time I ran when it was an out and back on Crystal Drive. Instead you do more of a rectangular loop heading down Crystal Drive, turning right on 23rd and taking another right back on S. Clark St. toward the final stretch. 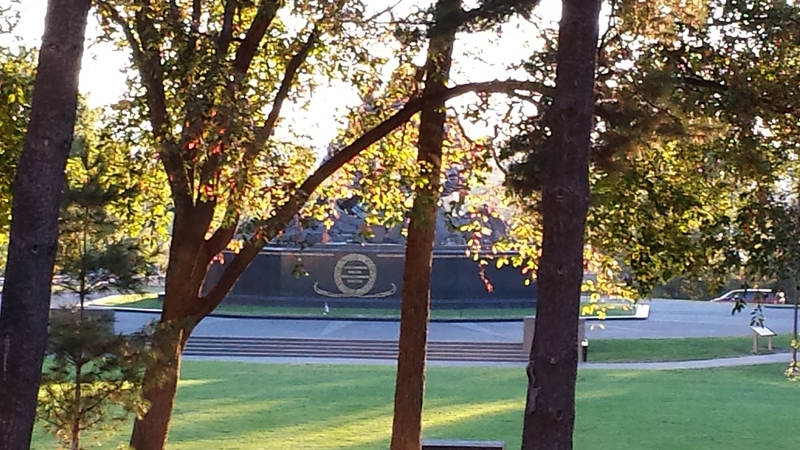 You’ll pass the Pentagon including the 9-11 Memorial and make your way back to 110 along Arlington National Cemetery. No matter how bad you’re hurting, seeing this here and knowing what kind of sacrifice so many people made for this country will help propel you to the finish. The energy and excitement boils over as the cheers from the crowd get louder and louder as you run the last half mile. The final point two takes you up a cruel hill toward the Iwo Jima Memorial and the finish line. This is your last test until you become a marathon finisher and receive your medal. My biggest advice if this is your first marathon or first time running MCM can really apply to any race…smile at the crowds, thank the volunteers, make friends with other runners and enjoy the heck out of it! This entry was posted in D.C., Marathons, Races, Running and tagged DC, marathon, Marine Corps Marathon, races, running by Colleen Lerro. Bookmark the permalink. When I ran Steamboat this Spring I drove the course the night before to get a feel for it. Helped a TON to get the race out of my head.